We are a unique species of animal because of a specific evolutionary history from which we inherited a distinct set of movement adaptations. “A wolf is kept fed by his feet” goes the old russian saying, so building a movement program for a wolf that never included long distance running would be a failure to allow the best expression of wolfness. To understand the full expression of humanness you can not simply study movement in isolation from culture, biology and evolution and nor can you make the gymnasium your laboratory for we evolved in the natural world. To build the best foundation of human movement we must look at the movement patterns that are universal and foundational for humans, we need to study the ethnographic record to see how people move across cultures. We have to understand the human animal in its evolved context. The natural world is a huge part of that, flat ground, evenly weighted bars, gymnastic rings, right angled walls, these are not what we evolved to move on and we can not develop the most complete movement capacity confined to these environments. Natural movement without nature is incomplete at best. We need nature! The skin on our hands only grows strong evenly when exposed to the diversity of surfaces provided by rocks and trees. The over developed callous just below the fingers and soft skin on the palm seen in the habitual barbell, bar or ring trainee is a signal of pathology of excessive loading in one area and insufficient in another this is the reason rips are so common, the hand is not developing an integrated complete skin strength. 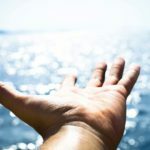 Just as the strength of skin on our hands develops unevenly leaving us fragile when we train in insufficiently diverse ways so to does the rest of our body. A leg grown strong solely from barbell squats, is leg where the strength of quadriceps is likely to be excessive relative to the strength of the connective tissues of the leg. We have the strongest fastest most explosive athletes in history and injury rates are sky rocketing because we prepare them with insufficiently diverse movement, we prepare them in ways that are totally outside of the scope of what a human evolved for. We need diversity of loading for all the tissues in the body to properly develop and be integrated with each other, we need diversity of loading to provide the nervous system with the fuel to properly map and control the body. The diversity of the natural world is simply unparalleled by any man made environment. When we practice our pulling on tree branches each branch offers a different diameter a different degree of traction on the hand, different small features pressuring the hand, a different degree of bend, tip and sway as we pull. When we run and jump on rocks, scree, and leaf litter we are feeding our nervous system far more complexity than offered by concrete or wood floors. To train natural movement primarily in a gym is literally to miss much of what makes it natural much of what makes it nourishing. It goes deeper than this too, ultimately we train for health, for well being, for connection to self, for happiness and aliveness. Here too nature nourishes us best, there are microbes in the soil and phytochemicals in trees that have antidepressant effects, there are psychological effects from moving through the natural landscapes that replenish our will power, the list goes on and on. Every traditional mind body practice had an emphasis on time spent in nature. The benefits to nature on psyche were recognized as far back as the origins of Taoism and Stoicism if not before. If you want to truly harvest the power of movement to become a more resilient, adaptable, alive and joyful human being, you need to root your practice in nature and root it in in the movements your body evolved for. 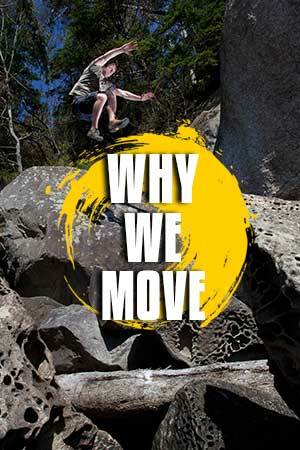 We evolved to move, we evolved to move through nature, to develop through play and to move with a tribe. If you want to gain the most growth from your practice make sure you understand what you evolved to need and put yourself in the environments you can gain it. To learn how come join us for a seminar.